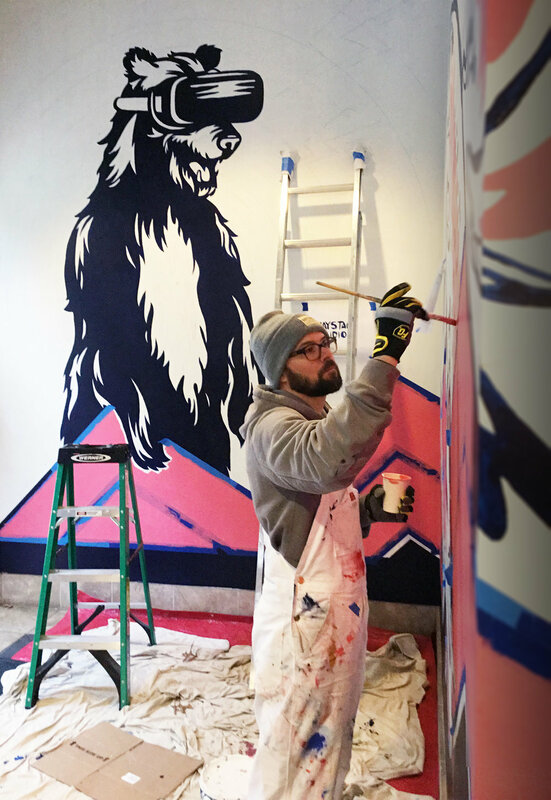 WeWork commissioned Haystack Studios to create a large scale mural, covering 3 entry way walls at their Holyoke location downtown Seattle, WA. The previously dark grey walls now hold vibrant, Northwest-inspired colors to catch the eye of the passerby. The concept for the mural drew from the intersection of Seattle's natural beauty and the emergence of tech giants. We chose to depict an optimistic take on things, showcasing a giant bear wearing VR goggles experiencing three virtual salmon jumping out of graphic shapes and a Pike Place Market fish thrower tossing him a snack. 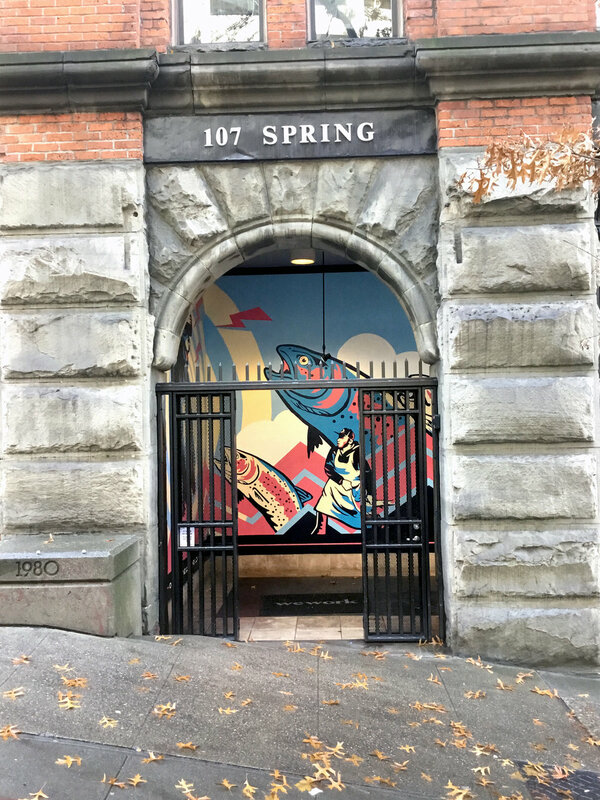 It’s an unexpected contrast to the stone walls and antique ironworks of the entry way, a welcome addition to this thriving, creative community. All Content © haystack studios, llc. forever.